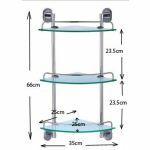 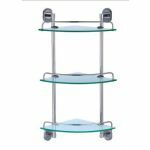 Practical yet stylish the new Dart toughened glass triple corner shelf unit comes with a couple of nice finishing touches - the front mounted polished chrome rail on each shelf and the polished chrome wall fixing frame make this a beautifully finished piece.. 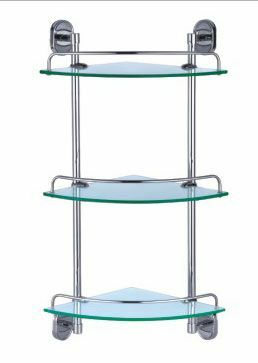 Simple to put together, yet brilliant when hung. 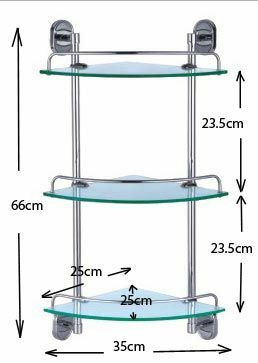 This shelf set and all the products from Clickbasin are delivered free with a 30 day money back guarantee.. so no risk easy shopping all the way.